lukewarm manifesto: Kate liston-mills’ the waterfowl are drunk! Kate liston-mills’ the waterfowl are drunk! Pambula-based writer Kate Liston-Mills is a friend of mine and a fellow graduate from the University of Wollongong’s creative writing program, where she was a few years older but a few year groups below me. Disarming, ebullient, and universally beloved, Kate is humble to a fault, with eyes so blue they must’ve soaked up all those South Coast seas and skies. As an editor for the annual UOW Creative Writing literary magazine Tide, I remember having the chance to publish some of Kate’s outstanding poetry back in 2010, but page limitations ultimately forced the committee to bump the lowly first-year from the volume, something that never quite felt right to me. Thankfully, if unsurprisingly, Kate’s words have since appeared in publications much loftier and more widely circulated than Tide (and even later editions). But it still felt like something coming full circle when the advance copy of The Waterfowl Are Drunk! appeared in my inbox. A wrong has been righted, and in such spectacular fashion. Published electronically by Spineless Wonders as a Slinkies Under 30s collection, The Waterfowl Are Drunk! is Kate’s first major work. In seven interconnected short stories, she draws from deep wells of truth and fancy to bring to life this heartfelt tribute to town, home and family. Working in the best traditions of the tall tales and urban myths repeated and embellished in country pubs the nation over, The Waterfowl Are Drunk! is a richly rendered and skillful meditation on birth, death and disability in coastal, regional New South Wales. Perhaps somewhat embarrassingly for a gen-y bibliophile like myself, this was actually my first experience with an ebook, so it was only after some significant fandangling and carnsarnitting with the zoom function on Apple’s iBooks that I was finally able to sink into the collection’s opening vignette, ‘Bound’, which immerses the reader in the teeming wilds of the Pambula wetlands, ‘on the fringes of what some would call a dated town’. But this is no Eden, if you’ll excuse the pun. ‘Think red dirt, murky water and tired trees’, the first line enjoins us. The birds swelter in the heat, the ‘stench of rot and fetid water is inescapable’, and in the bushes lurks a dangerous interloper, a red fox. For a moment here I thought I was reading an example of that rarely realised mode of environmental fiction that children’s literature scholar John Stephens calls ‘deep ecology’ – fiction that attributes an intrinsic value to the lives of animals and the environment, often decentering or showing as contingent human perspectives, or excluding them altogether. But the instance of a pen anthropomorphically assigning her cygnets names, as well as the somewhat malapropos simile of a waterfowl slurping a worm ‘as if it were a slushy’, anchors the reader in a human perspective and a roughly contemporary moment, and it soon becomes obvious that what transpires in this wilderness is deliberately symbolic of the human lives we are to encounter in coming stories. feathers and calls, the cygnets plop out of the eggs and sog up the earth. In the symbology of this natural tableau, it is worth interrogating the figure of the fox: is he, as an introduced species, merely representative of a troublemaking outsider, upsetting the rightful order and earning the fear and scorn of the locals? Is he death, an agent of doom against whom the members of the community are able to rally, though never fully prevail? Perhaps, by extension, he is the reader, come to gorge himself on the lives of the town’s inhabitants in the coming pages for his own satisfaction. Or could he be the writer herself – all writers: slinking double-agents moving stealthily amongst unwitting native prey, scavenging for stories and details? The answer, of course, is up for interpretation. Aptly, the concept first treated in this fashion, the ‘sweet nostalgia’ that ‘blends with the croaks and sits on the tilted horizon’ in ‘Bound’, is also the one that most suffuses the work as a whole, which is always romantic and wistful, but never saccharine or overly sentimental. Indeed, what could be levelled as a criticism against another writer becomes in Kate’s hands one of the work’s greatest strengths. Kate shows herself to be an adept conjurer of those moments, sometimes mundane and others extraordinary, that characterise every family history, those universally relatable and yet thoroughly idiosyncratic memories and rituals that form the fabric of a family. carrying on, something about blood in the water at the Melbourne Olympics. cleaning up. The aftermath of Ed’s pig trotter feast is now gelatinous on the sink. Later, we find this same skill in ‘I Don’t Even Like Scotch Fingers’, an everyday tragedy where we watch in knowing discomfort as narrator Georgie, distracted by the trivia of teenage existence, takes Hazel, her grandmother, entirely for granted. During one of those familiar interstices in senescent–adolescent conversation, Georgie’s mind wanders to the time they had to rush Aunt Lottie to the hospital because she was choking on a nut, but then they drove over a speed hump and the obstruction dislodged itself, sailing through the air right into her uncle’s hand: just the kind of unlikely, though all-too-real family legend all of us can lay claim to in one form or another. Just as some stories consecrate the emotional landscape of the family, others do the same for the town of Pambula, most notably in the title story, ‘The Waterfowl are Drunk!’, in which the town reacts to the loss of Hazel’s husband Ed. ‘In Pambula,’ we are told when the death coincides with the arrival of an eccentric houseguest, ‘you have to be hospitable. You just have to.’ Littered throughout the story, attached to the ends of sentences here and there, we find the refrain, ‘as you do’: signposts in the thought processes of the grieving widow that perfectly evoke the double-edged comforting familiarity and stifling oppressiveness of small-town living. Hazel’s actions are governed by a subconscious list of preapproved Things You Do in Pambula, forcing her into the tiresome obligation of indulging the strange old bird who turns up on her doorstep (people are always birds in The Waterfowl Are Drunk!, and birds people). But in times of crisis, there is also comfort to be taken from such rituals and ritualised behaviours, as we see with the ceremonies surrounding tea that so pervade the book – the word itself is used some twenty-one times in seven stories (I’m getting the hang of this ebook thing). In ‘The Waterfowl Are Drunk!’ it is this beverage, so treasured by Lottie, that occupies her while the rest of the family tries to shield her from the death of her father. But she is more attuned than her family might think. The sensitive and subtle exploration of the perceptions of different forms of disability that runs throughout the collection is another element for which Kate deserves laudation, executed as it is with the confidence and integrity of a much more experienced writer. Just as Kate endows Hazel’s family with a canon of folktales and memories, the town too is replete with its own mythology of larger-than-life tales and escapades and, given the distribution of the stories over the course of a century, we are witness to many of them – the misadventures of Ed and Tom on the night Hazel goes into labour, as they rollick around town trying to get their mate’s body to the morgue in the back of a ute and, of course, the tale that gives the collection its title: the time the town drunk disappeared temporarily, only to turn up in a freshly dug grave covered in waterfowl inebriated by the bottle of sherry in his hand. In the telling of these fables we find the blending of comedy and tragedy, that certain mix of beauty, poignancy and irreverence, that marks the best Australian fiction. Which brings me back to the most remarkable element of the collection: the incredible lyricism of Kate’s voice. If all literature can be plotted on a spectrum from the spare and sparse on one end to the expressive and ornate on the other, The Waterfowl Are Drunk! would have to be classified ‘hyper-lyrical’, on the far side of the latter. Fans of the Spartan, the reserved, the unadorned sentence, Hemingway devotees and Naipaul adherents alike, be warned. Each of us has our own preferences in this area, and the pendulum of taste seems to have swung back and forth since the inception of the novel, between one school of writers determined to prune back the overgrown grandiloquence and floridity of their forebears, and their own successors, who seek to rejuvenate with inventive, sensual, descriptive writing prose that has come to be seen as sterile and dull. There is a place for writing at every point on the spectrum, but I, for one, tend to prefer the latter kind: writing that gives me something. Writing that’s luscious, that astounds and inspires and tantalises me with new ways of seeing the world. Writing that pushes descriptive language to the limit, that shows me something of the author. Writing like Kate’s. Of course, with a young writer working on this end of ‘the spectrum’, where so much is risked because so much is ventured, there are bound to be some misfirings. Sentences brim so full with description and simile in the book that they sometimes spill over into mixed metaphor, or rush at you so quickly you can’t appreciate them. With some variation, the collection generally grows in skill as it goes on, culminating in the two most restrained and technically accomplished stories, ‘Without Floaties’, which gives us our first outsider’s perspective of the town, and ‘Shiny Lino and a Whistling Kettle’, where an older, repentant Georgie reflects on the lives of her aunt and grandmother. Especially if the whole collection is read, as I would advise, in one or two sittings, it is difficult to imagine not being moved by this frank and effortlessly fluid final story, which resounds with the authenticity of a lived experience and functions as an exceptionally tender obituary for its two major figures. What’s hard to believe is that Kate will only become more talented with time, and undoubtedly has the skills to surpass even her best work here. The Waterfowl are Drunk! is a brilliant and powerful fiction debut, well worth the outrageously cheap $4.99 for which it is being sold. I mean, that’s FIVE DOLLARS. Five dollars would be worth it just to help support the arts and emerging writers in this country (because Lord knows the government won’t), let alone what you’ll be getting in this artful, beautiful book. Buy it, sink into your favourite spot on the lounge, and prepare for a pleasurable few hours one afternoon. And when you do, why not pour yourself a big mug of tea, too? For Lottie. 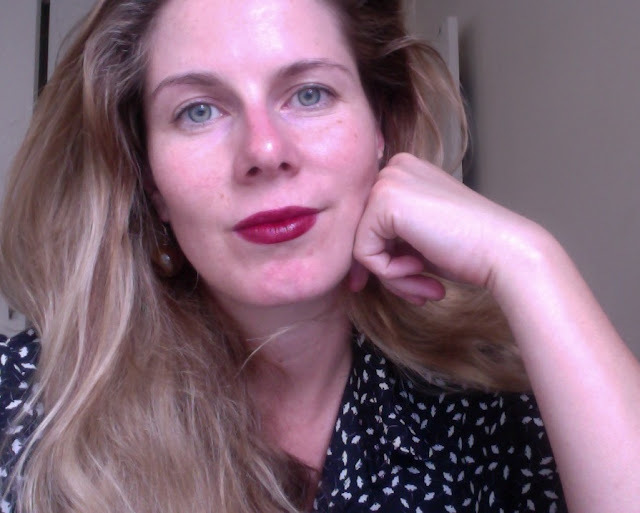 Sarah Fallon's 2015 interview 'NYWM Interviews: Bridget Lutherborrow' on the Wollongong Writers' Festival website. Kate Liston-Mills' 2015 ebook The Waterfowl Are Drunk!, published by Spineless Wonders. John Stephens' 2006 journal article 'From Eden to Suburbia: Perspectives on the Natural World in Children's Literature' on pages 40 to 45, issue 2, volume 16 of literary journal Papers: Explorations Into Children's Literature. 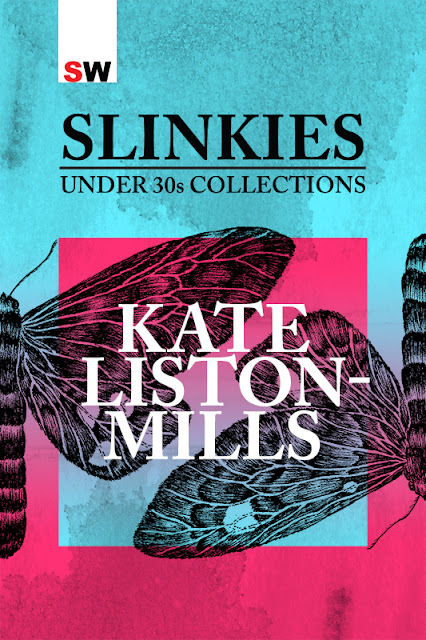 Spineless Wonders' 2015 interview 'Meet the Slinkies: Kate Liston-Mills' on the Spineless Wonders website.